Origins are expanding their colour range with the introduction of a new Brighter by Nature Compact Foundation and a new concealer, Quick, Hide! Long-Wearing Concealer. The products launched exclusively in John Lewis at the end of December and are due to hit counters nationwide on 21st January (tomorrow!). I've been trialling the concealer ahead of its nationwide launch. I'm not the kind of girl to carry around an entire make-up kit and reapply throughout the day so products which truly provide lasting results are a must for me. With claims that Quick, Hide! 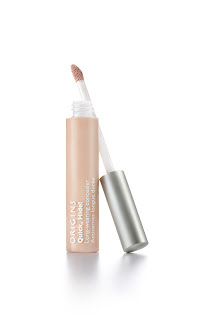 Long-Wearing Concealer gives medium to full coverage for up to 15 hours, I was eager to try it. I'm impressed that it's available in a range of shades to suit different skintones, something which cosmetics brands are finally delivering on. I really liked the packaging- Origins tend to get their packaging spot on so it's hardly a surprise but I found it sleek and functional, a tube with sponge applicator. I absolutely adored the application. The formula is smooth and easy to blend, providing flawless coverage yet with a lightweight feel. I have to say, I didn't feel it lived up to expectations in terms of lasting colour. Perhaps the results may be better if teamed with other products from the Origins range but using alongside my existing products, I felt that it didn't last beyond a few hours (and I don't have oily skin). I definitely want to persevere with this product, not least because the coverage is amoungst the best I've discovered so far and I will be experimenting with varying primers and setting sprays in the hope of extending the fantastic initial results.